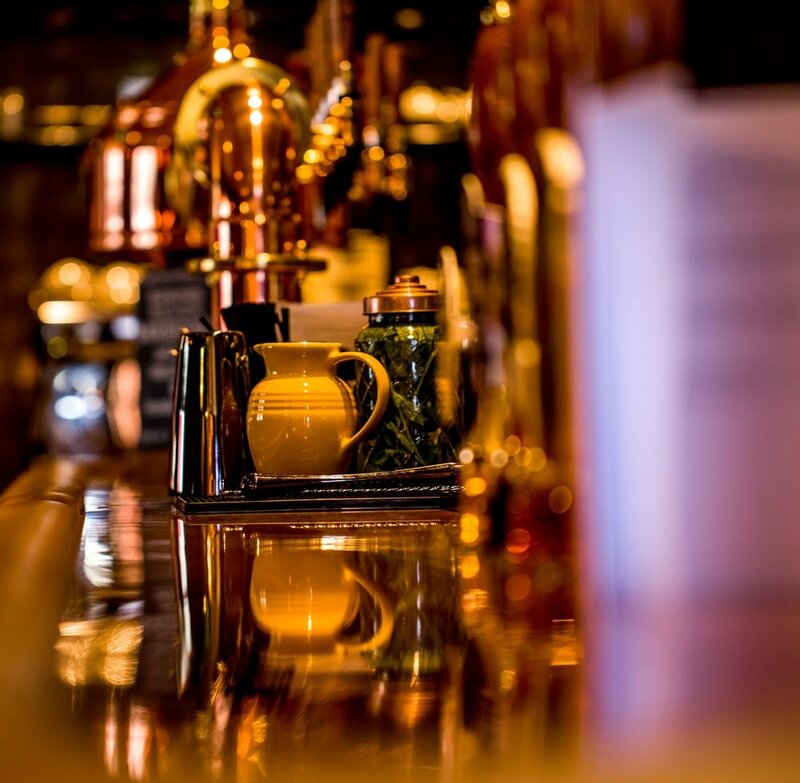 Knight & Garter lovingly referred to a ‘Leicester’s carefully considered pub’ is stunningly designed & implemented bar, British steakhouse & venue situated on Leicester’s new Market Square off Hotel Street. Here at Knight & Garter our mission is the overthrow memories of mundane experiences by delivering a best in class experience in our own convivial way. Our bar area is fast becoming renowned for its jaw dropping design & carefully considered range of boutique drinks. Many not found elsewhere in the city. This includes our unique Budweiser Budvar Kräusened. Our Kräusened is a matured, unfiltered and unpasteurised beer, delivered directly to us; fresh from the cellars of Budweiser Budvar in České Budějovice and served straight from our giant copper beer kettle in bespoke single pint stein glasses. Entry to our restaurant is through a hidden door in our bustling city bar. Once seated, our British Steakhouse restaurant is proud to serve a vibrant, fresh, seasonal menu that is prepared by a brigade of real, passionate chefs and served from our industry leading, state of the art kitchen. The Gallery is our stunning underground multi purpose bar & venue. Serving our full range of boutique drinks including our prized Budvar Kräusened, this intimate space is perfect for hosting truly special occasions as well as art exhibitions, meetings and events. Inspired by lazy capital city breakfasts, our weekend brunch is not to be missed. Open from 10am, our restaurant serves up a truly special start to your day; featuring soulful music, complimentary papers, our la boulangerie & juice bar.